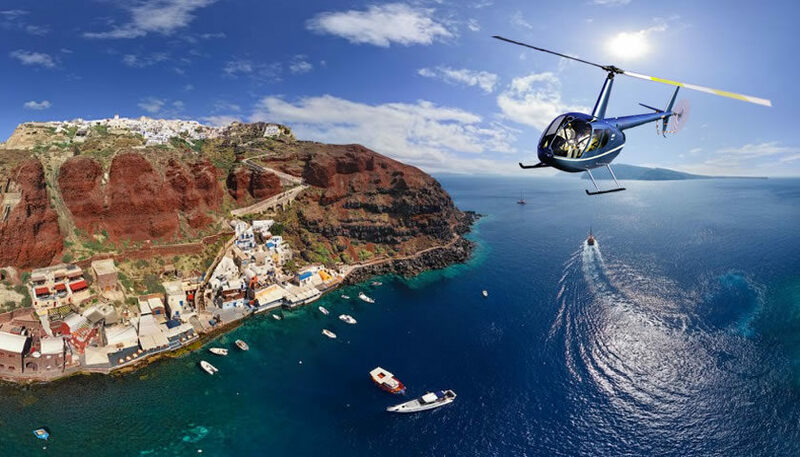 Nothing can give you a better view of the island and volcanic complex than a flight over the island by helicopter. The private tours’ duration varies between 20 and 30 minutes. It’s not a cheap tour but it is a unique experience. You will be able to have a completely different picture of the landscape, the beaches, the villages and Santorini’s caldera, the volcano and the island of Thirassia and take incredible photos. 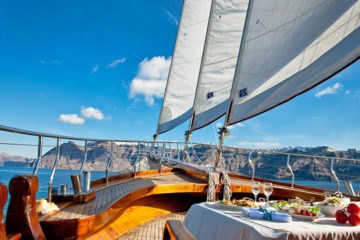 Prices for Santorini Helicopter Flight starts from 275€ per person. See more details and schedule here.